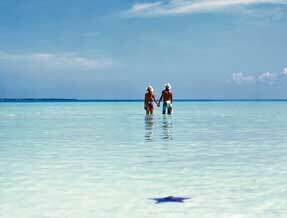 Cuba hotels will provide you with the base of your choice from which you can explore an island full of vitality. Renowned for its refined elegance and splendour, the Nacional de Cuba has a long-standing reputation and has been attracting world-famous guests since 1930. In a privileged location in the centre of Havana, it stands on a hill just a few metres from the sea and the city. Nestled between the mountainous backdrop of Cuba’s undulating countryside and Arroyo Bermejo Beach on Cuba’s north coast, Breezes Jibacoa offers everything from water sports to gourmet dining, and all within easy reach of Matanzas City and historic Havana. Located at the heart of the popular Miramar residential district overlooking the rocky Cuban coastline, Melia Habana is a smart hotel with a great reputation. Rooms are arranged around a courtyard with large balconies and terraces. Havana is the lively capital, and offers a wide array of choices from upmarket to the more budget minded. You may not wish to stay in the city on your holidays, but Havana could be an intriguing place for you to spend a few nights before heading out to the multitude of beach resorts. One such resort is Varadero, situated in the province of Mantanzas, and one of the largest resort towns in the Caribbean. There are over 50 hotels to choose from here, and it would be difficult to select one that doesn't provide you with a relaxing stay - due to the areas reliance of tourism. Take a boat trip, dive in caves, or enjoy a leisurely round of golf. Varadero is an idyllic holiday destination.